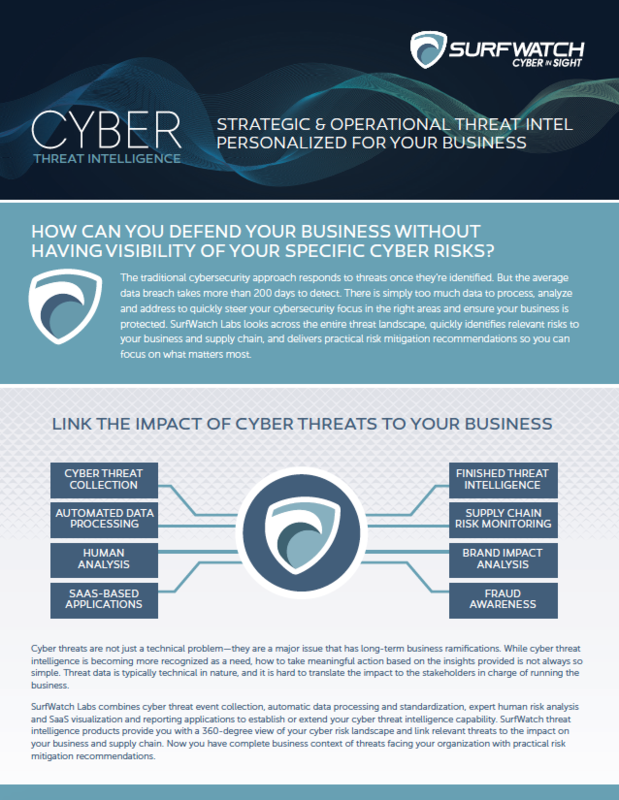 Learn how strategic and operational cyber threat intelligence provides visibility of your relevant threats and the guidance to realign your defenses. 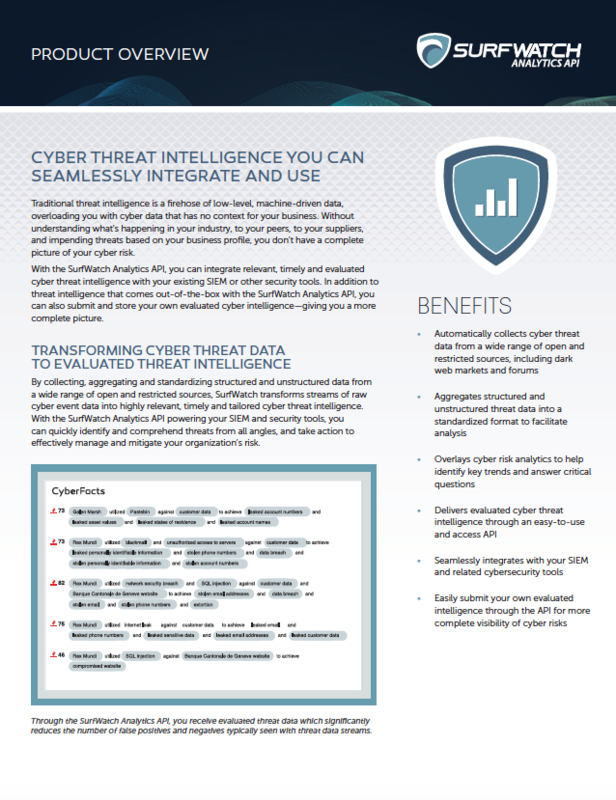 SurfWatch Labs combines cyber threat event collection, automatic data processing and standardization, expert human risk analysis and SaaS visualization and reporting applications to establish or extend your cyber threat intelligence capability. 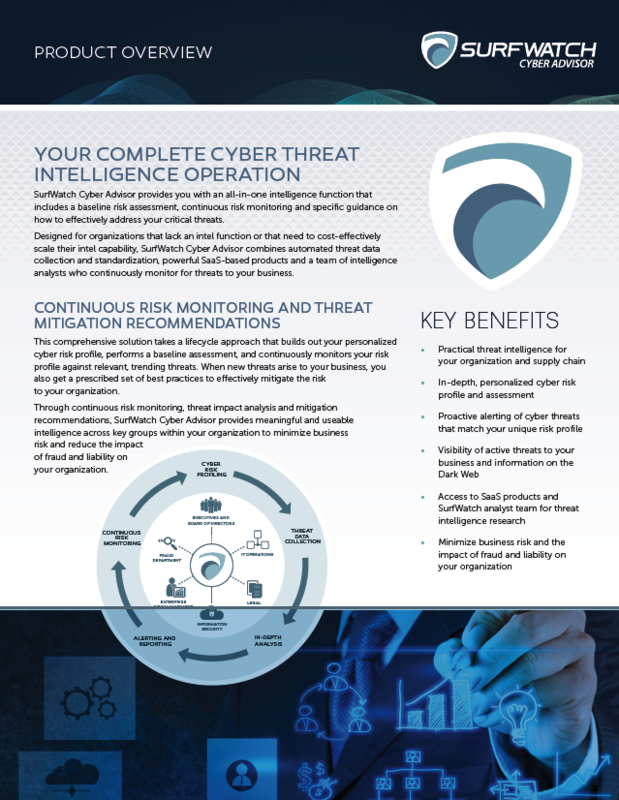 Learn how SurfWatch Cyber Advisor gives you an instant, an all-in-one intelligence function that includes a baseline risk assessment, continuous risk monitoring and specific guidance on how to effectively address your critical threats. 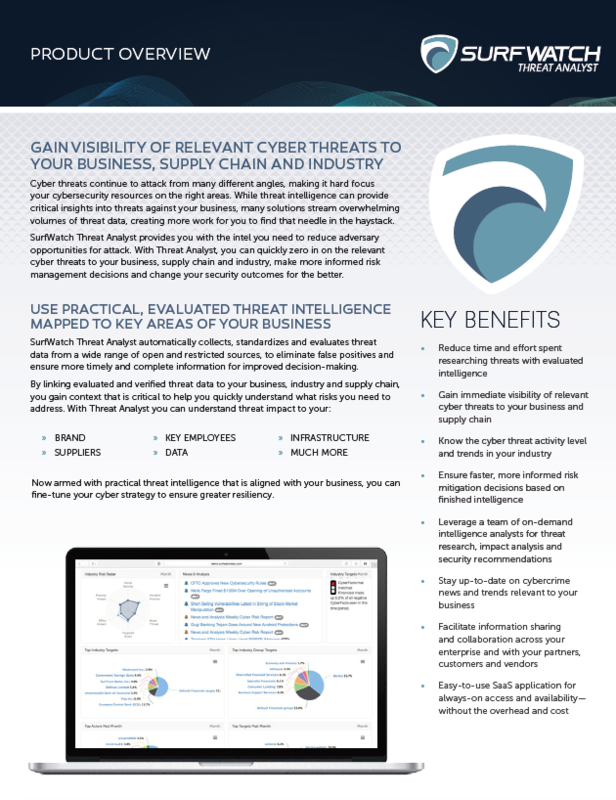 Learn how SurfWatch Threat Analyst helps intelligence teams to quickly zero in on relevant cyber risks to their business, supply chain and industry. Learn how the SurfWatch Analytics API integrates evaluated external threat intelligence with your SIEM and/or other security tools. 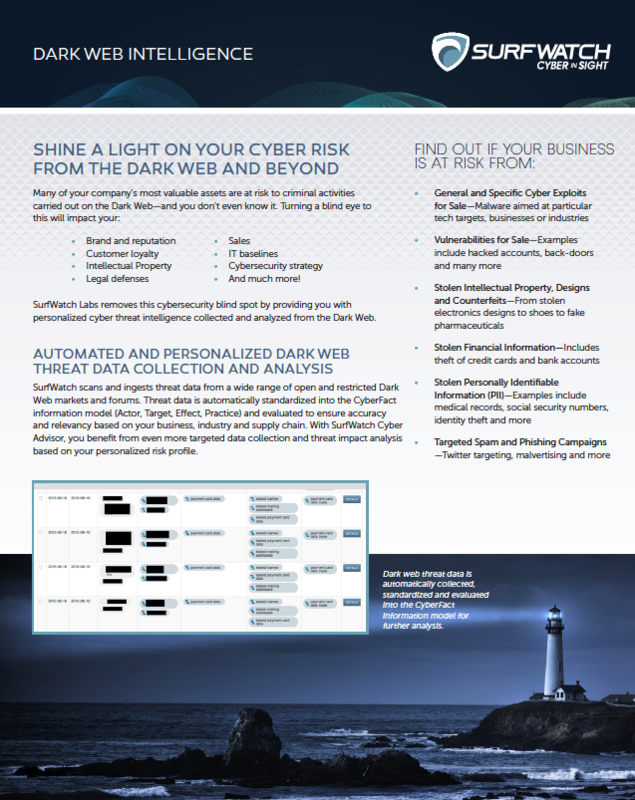 Learn how SurfWatch helps eliminate a critical blind spot in your cybersecurity program by identifying active cyber threats to your business from open and restricted Dark Web markets and forums.